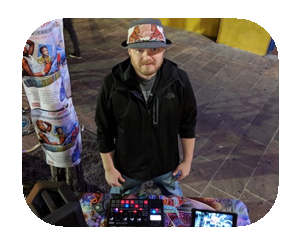 b.d is a producer and a live electronic music performer that entangles frequencies using an evolving mix of hardware and software instruments. From electro lounge, rhythmic dance, to downtempo flow, each set is crafted in real-time. Collaborations and organic instruments always welcome. My set pieces are modular and can be rearranged to compliment any environment: Electribe 2, Kaossilator, KaossPad, MX-1, Gadget, Volca Bass (apparently I like Korg stuff).